There are tales in Celtic culture of faerie lights leading travellers astray in bogs and forests. With the Fairy Candelabra, you can have faerie lights of your own, but they will only ever guide you safely around your house in the dark. 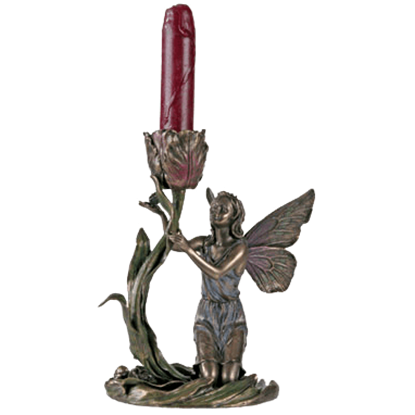 The Fairy Rose Candelabra is an elegantly crafted candle holder that is made in the shape of a young fairy walking through some roses, her face contorted in pure bliss as she enjoys the beauty of the nature she is sworn to protect. 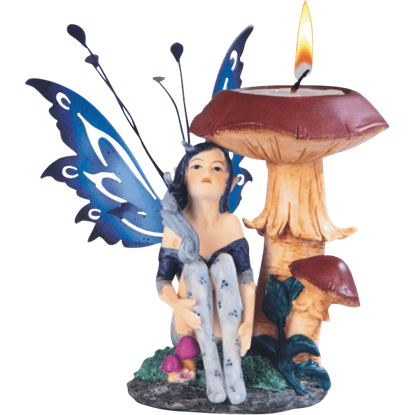 Though fairies are often accused of leading wanderers astray with their whimsical lights, this fairy will always be sure to light your path with accuracy. 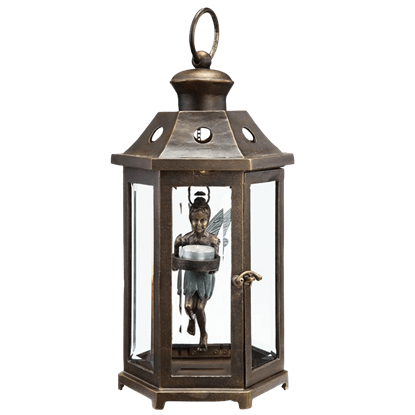 The Hanging Fairy Lantern contains a gentle fairy holding a candle. In the cold of winter, sometimes all a fairy needs is a little fire to sit beside. And when you are the size of a fairy, a little fire is often only as big as a tea light. 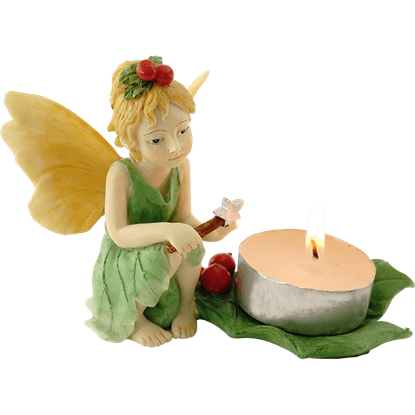 Keep a fairy warm this year with the Holly Fairy Tea Light Holder. The Mushroom Shelter Tealight is the example of how we should stop and take a moment to appreciate the little things in life. This fairy wants to enjoy the beauty of nature, and we should try to follow this example. 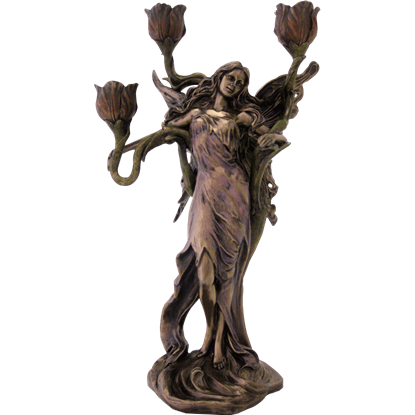 The majestic Tulip Fairy Candle Holder can be a wonderful way to light up any room that lacks imagination. 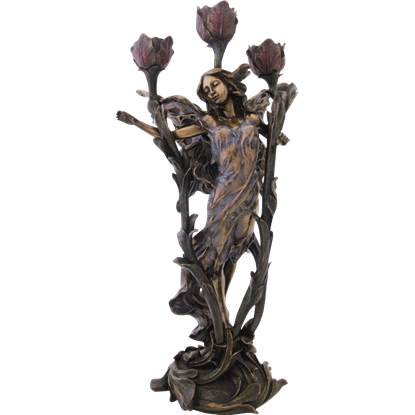 The art nouveau inspired design of this home decor item will be admired by any who appreciate this timeless style.